Home > Special Offers > Service & Parts > Save on Your Timing Belt Replacement! Save on Your Timing Belt Replacement! 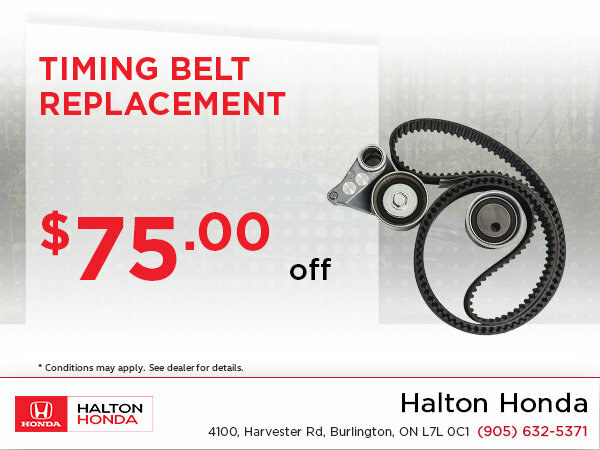 Come at our dealership at Halton Honda to save on your timing belt replacement! Hurry before there's no left in stock!